Dr. Nils-Axel Mörner is the past chair of the Paleogeophysics and Geodynamics department at Stockholm University in Sweden. Dr. Mörner has just published a peer-reviewed paper showing that the Sun will be in a new major Solar Minimum by the middle of this century, resulting in a new Little Ice Age over the Arctic and NW Europe. 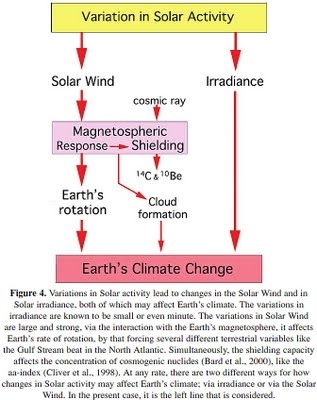 Dr. Morner bases his analysis upon solar influences on the Earth's length of day and the cosmic ray theory of Svensmark et al., and finds the analysis provides conclusions "completely opposite to the scenarios presented by the IPCC."